Reptiles. Lizards and snakes in Great Britain have declined, primarily due to habitat loss, degradation and fragmentation. Due to their decline a number of reptiles were added to the national (UK BAP) list of priority species in 2007. These include Grass Snake and Common Lizard which are present in some numbers in Barnsley. There are records in Barnsley of Slow-worm and previous records of Adder, but not recent. Reptiles with the exception of the grass snake, spend their time on land, foraging, sheltering, and hibernating. Grass Snake (Ntarix natrix) General decline. Suffering from declines in habitat availability due to agricultural intensification and general tidying up of countryside- lack of compost / dung heaps. Common Lizard (Zootoca vivipara). Widespread but patchy. General decline. Recent declines due to brownfield site loss and continuing development pressure in countryside. Slow-worm (Anguis fragilis). Widespread! General decline. Adder (Vipera berus). Restricted by habitat preferences. This snake is still persecuted as well as suffering from habitat fragmentation, afforestation, public pressure, inappropriate habitat management and of course development and general tidying of the countryside. Grass Snake and Common Lizard are local priority species due to their national status and because there are sites in Barnsley with good populations which deserve conservation management. If sites are found with populations of Slow-worm and Adder then these would become local priority species. Sites with good assemblages of reptile species are a priority. Reptiles - Grass Snake, Common Lizard, Slow-worm and Adder - are protected under part of Section 9(1) of the Wildlife and Countryside Act 1981 (as amended) against intentional killing and injuring. Reptiles are also protected under Section 9(5) of the Wildlife and Countryside Act 1981 (as amended) against selling, offering or exposing for sale, or having in possession or transporting for the purpose of sale. There are also general controls relating to animal welfare. .
As Section 41 species all reptiles including Grass Snake and Common Lizard need to be taken into consideration by any public body in managing their estate. Declines in habitat availability due to agricultural intensification, development and general ‘tidying up’ of countryside. Recent declines due to brownfield site loss and continuing development pressure in countryside. Inappropriate habitat management including burning of heathland. Reptiles need adequate areas for foraging with sufficiently large populations of invertebrate prey species, south-facing banks or bare earth or stones where reptiles can bask and warm up in the sun, shelter for resting and protection from predators and suitable hibernation sites. Maintain or create habitat features for foraging, sheltering and hibernation, and where reptiles can warm up in the sun. In gardens compost heaps, log piles, rockeries, and some areas with longer grass can benefit reptiles. Avoid mowing or burning large areas of ground. Where mowing or burning taking place take precautions to avoid reptiles being harmed. Enable sites supporting reptiles to be linked by wildlife corridors. Raise awareness of the need to conserve populations and assemblages of reptiles. 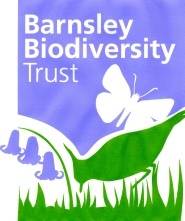 Determine the distribution of reptiles across Barnsley, particularly on heathlands and brownfield sites. Promote and monitor positive conservation management of sites that support reptiles [See good practice above]. Maintain the range, distribution and abundance of existing reptile populations and if possible create areas for their potential expansion. Grass Snakes have benefited from wetland creation schemes and from composting schemes.